Weight gain during pregnancy is natural but once you are pregnant, being aware of how many calories you need to consume in order to sustain a healthy level of nutrition for you and your little one is essential. Generally, most pregnant women would need only around 300 to 500 extra calories per day to meet nutrient needs and energy levels required for the baby’s growth. This means one additional light meal or one extra snack a day should be adequate. Though there are guidelines to determine what to eat and how much to eat while you are pregnant, your health expert’s advice is important before you start following a routine. Everyone is different, and if you are overweight for instance your health expert may recommend a low-calorie diet or if you are underweight for instance you may be recommended a high-calorie diet. Remember, all calories are not alike. Being pregnant doesn’t mean that you can munch on your favorites all the time. The extra meal you consume should be rich in vitamins, minerals, and proteins apart from calories. Snacking on fresh fruits, vegetables, and low-fat dairy products would be a good option. Never try to lose weight by fasting or starving during pregnancy. It will have a direct impact on you and your baby. Eat small meals and snacks throughout the day. 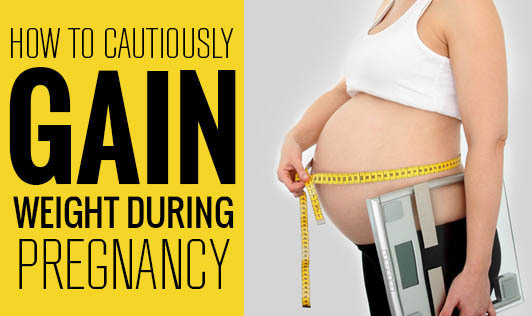 Most healthy pregnant women gain around 10 to 15 kg during their gestational period. It might be slightly more or less than this average depending upon individual metabolism, genes, and your baby. Your health expert can help you monitor your weight gain. Choose your food wisely. Don’t forget that the food you eat, reaches your baby too. So, eat well and eat healthy!